If you want to make your Club Car Precedent Faster here is a cheap, easy, and fast way to get more speed out of your golf cart. The cheapest way to make a Club Car Precedent have a higher and quicker top speed is to add a speed magnet to the electric motor body. 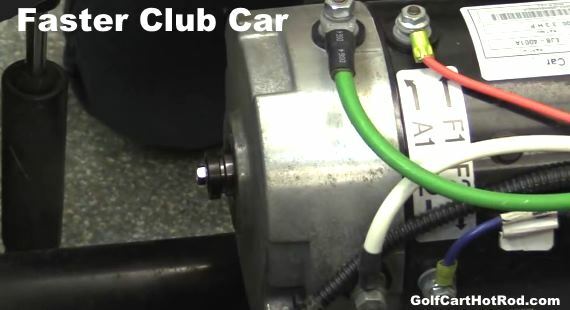 This video shows you how to replace and install a high speed motor magnet on a Club Car Precedent golf cart. The small magnet installs on the end of your electric motor with simple tools most people already possess. Once the magnet is installed you should see speed increases of as much as 6 MPH. The batteries should be disconnected in the cart to disable any electric current flowing through the motor for your safety. You can find Club Car Precedent High Speed Motor Magnets Here and Here.